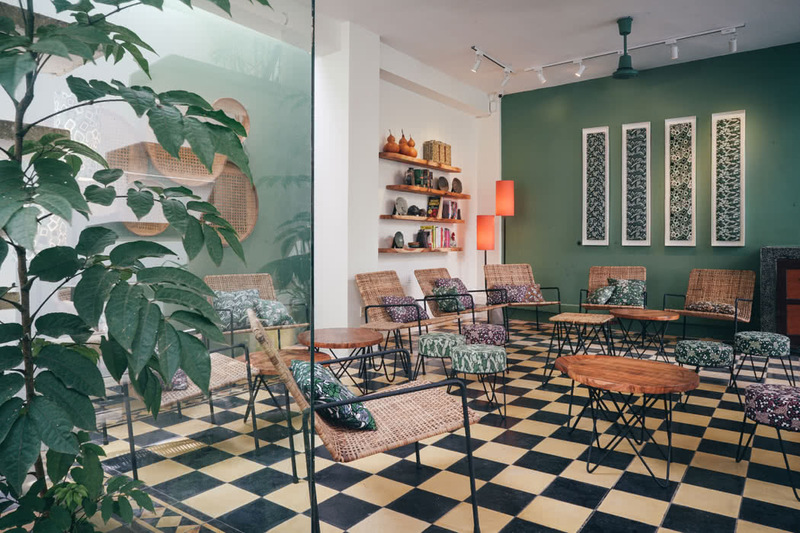 For a perfectly located little haven in the centre of Siem Reap, the gateway to Angkor Wat in Cambodia, you can do no better than the hip, boutique Rambutan Resort. 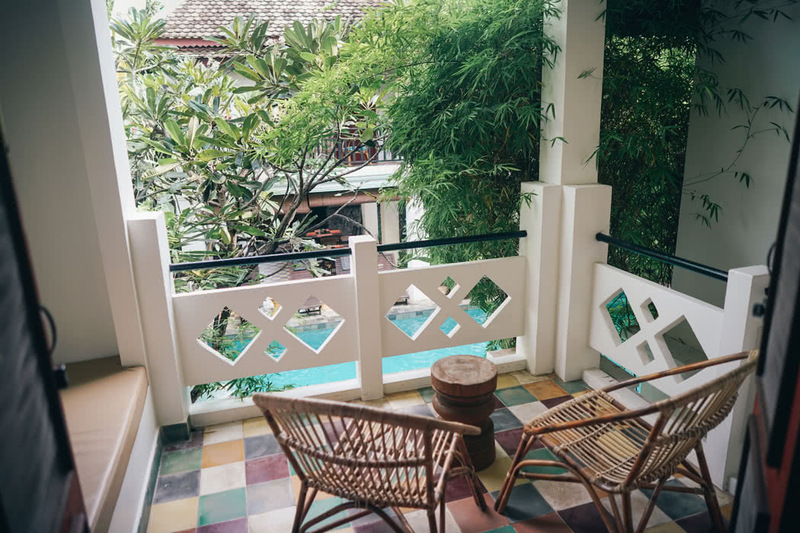 Your rather perfect location puts you in the heart of the historical centre Siem Reap in a peaceful residential area. 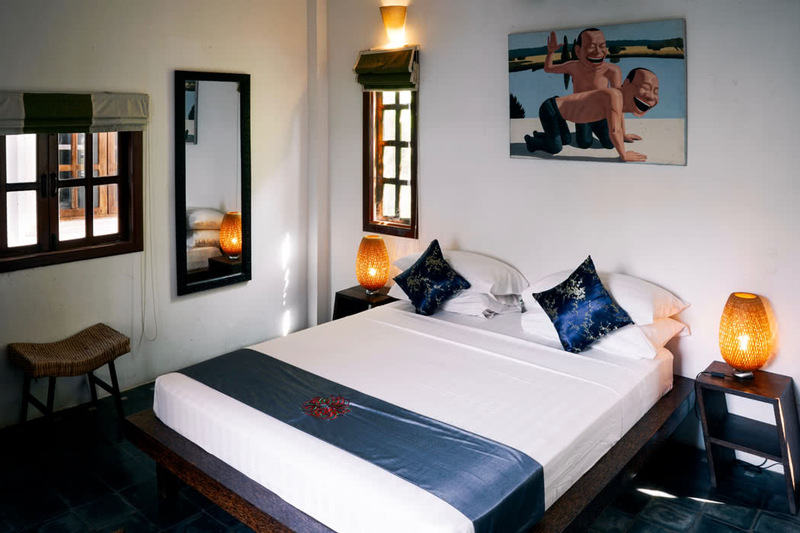 The resort is located on a quiet paved lane just 5 minutes’ walk from Phsar Cha (the old market). 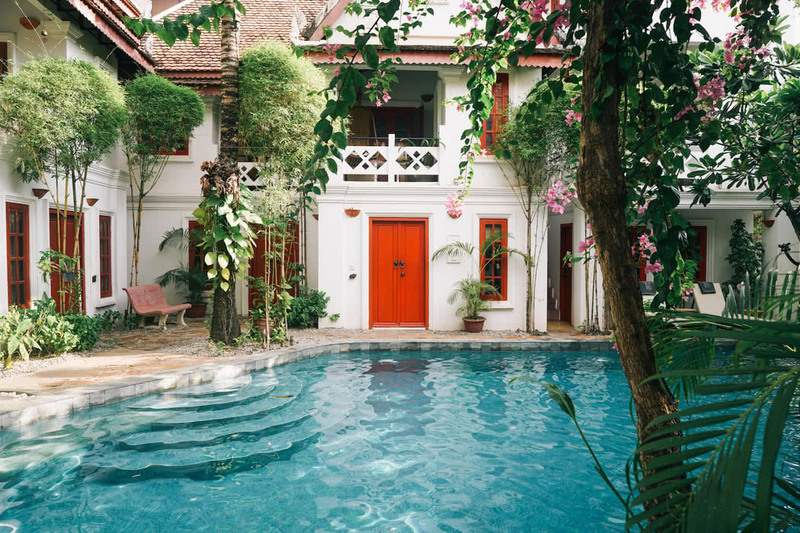 It’s the ideal spot for an independent traveller who values privacy and likes to stay somewhere authentic that’s just that little bit different. Siem Reap is a great all year round travel destination, it’s coolest December and January but April to June is perfect for sun lovers too. 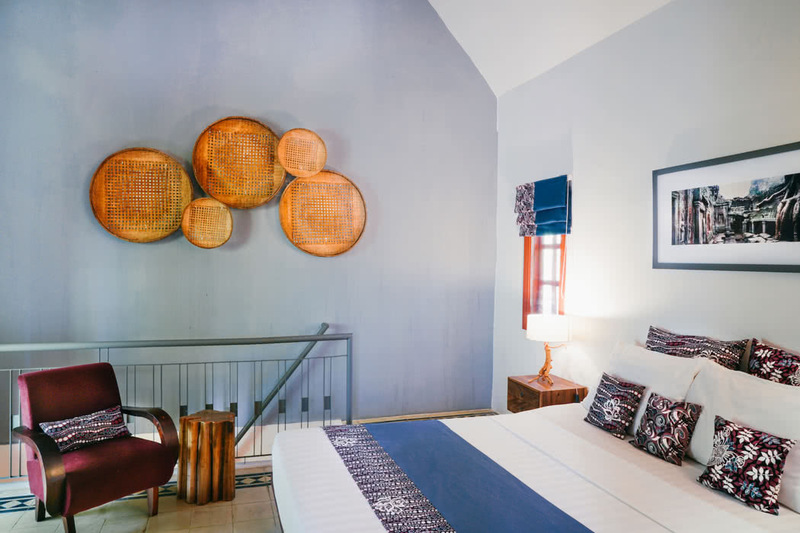 The resort is chic and stylish with wonderful local Asian touches; stunning artwork, locally made furniture and silk textiles. 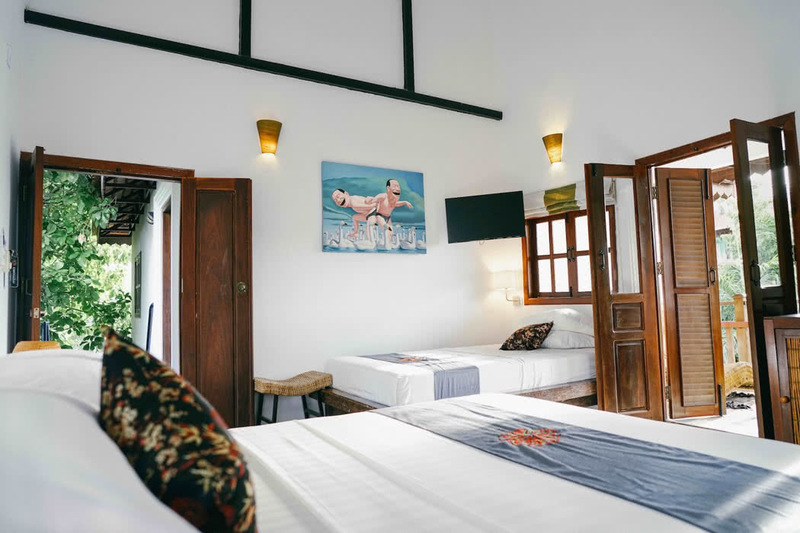 Rambutan Resort is one of those places where you can feel like you are making an ethical choice by staying here, they are a social enterprise and offer free education scholarships and comprehensive healthcare to their local staff, they are also gay friendly. Tucked in the lush tropical gardens you’ll come across two oasis saltwater pools, ideal for a refreshing swim after a busy day sightseeing. 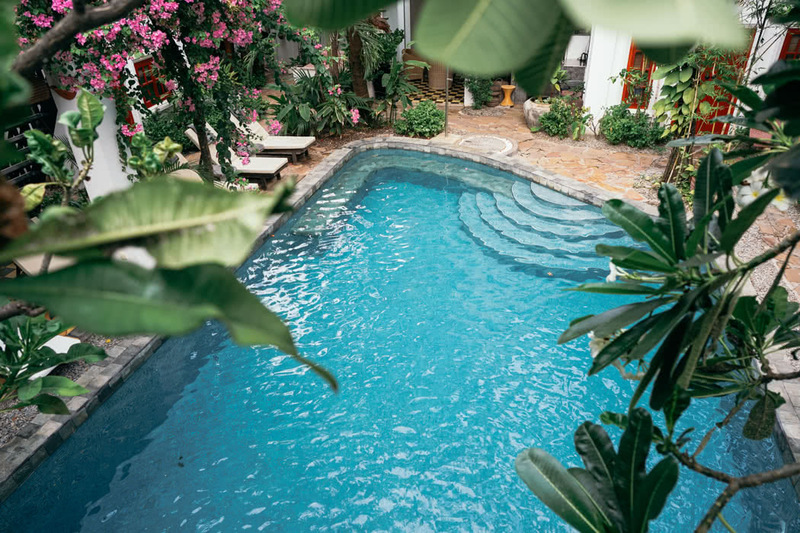 There’s also the Urban Residences Spa which offers a wide range of health treatments including Aromatherapy massage, traditional Khmer and Swedish massages; they quite often give complimentary foot massages around the pool too which are fabulous for aching feet! The staff are friendly and helpful as well as being local experts, so pick their brains for the best places to go and take up their offers of help with bookings. 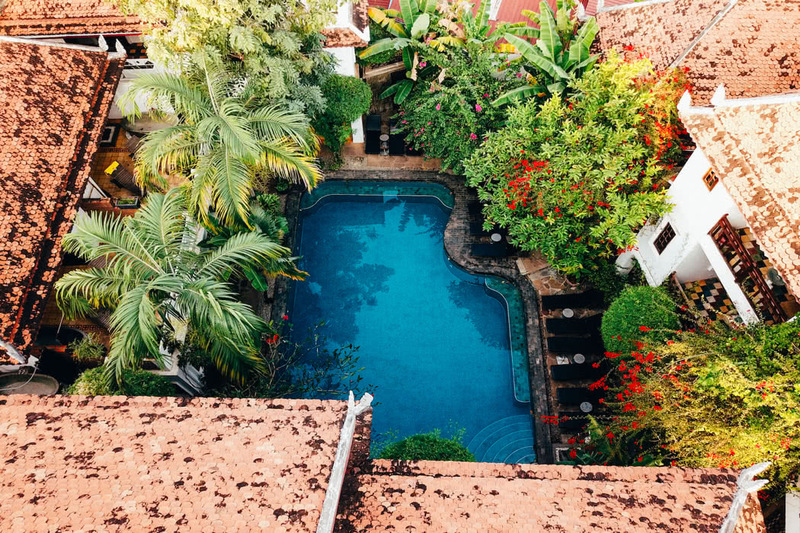 Choose from Deluxe Terrace or Deluxe Rooftop Terrace Rooms; all are delightful rooms with their own private terraces with outdoor terrazzo bathtubs. 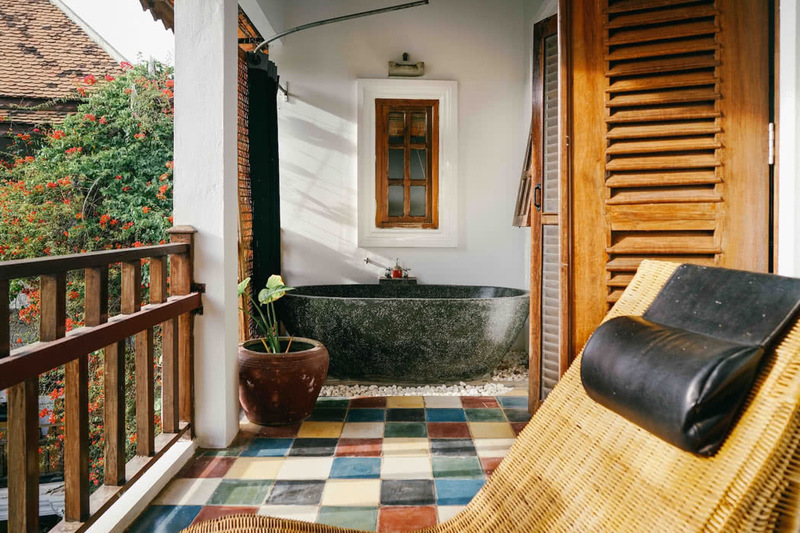 The Deluxe Rooftop Terrace Rooms are a luxury traveller’s dream, split across two levels the upper level is a balcony with a covered area, a sun deck, lounge chairs and of course, that bathtub; a heavenly and very memorable place for a relaxing dip. There are also wonderful views over the garden and pool to enjoy; ultra-romantic. The relaxed pace here means breakfast is served from 6am until noon! Get up with the birds and make the most of the day or enjoy a lazy brunch. 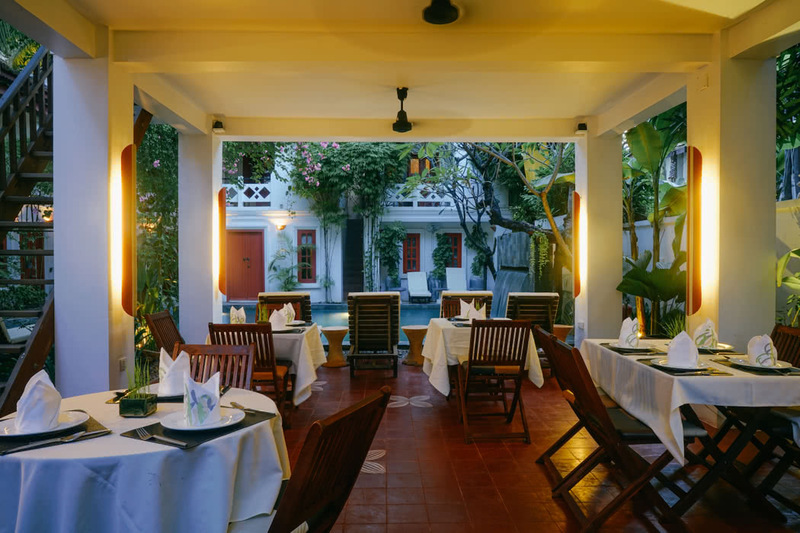 Dine at the Rambutan Restaurant for a delicious selection of Khmer and Western dishes. There’s also a pool bar that serves a range of snacks and beverages, don’t miss the house infused signature cocktails, the ginger mojito is to die for! Rambutan Hotel & Resort is represented by hotelieriQ.